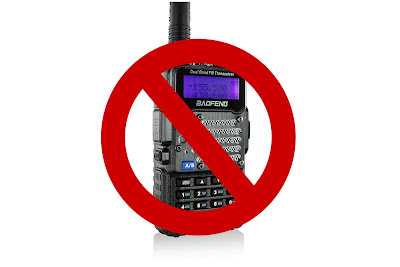 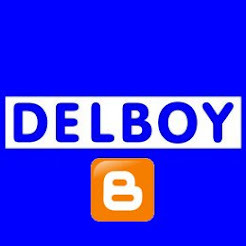 Delboy's Radio Blog: Baofeng BANNED? Apparently the FCC have taken the view that the radios do not conform to the relevant rules and regulations due to the fact that they can transmit on 'restricted frequencies'. 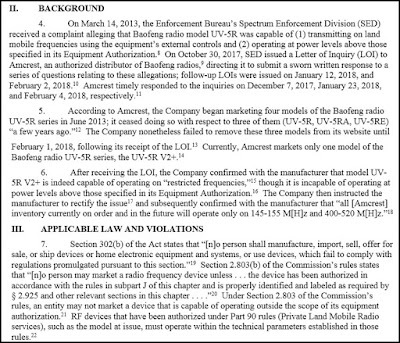 The radios will apparently not be allowed for sale by the company in question until they have been modified to comply with the relevant rules. 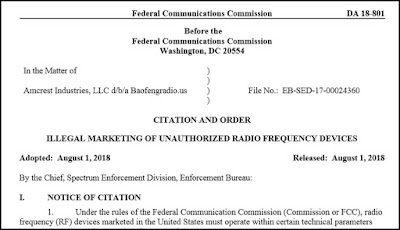 In the world of CB radio it is known that the FCC takes a firm stance when it comes to the sale and marketing of radios which can transmit out of the allowed bands. 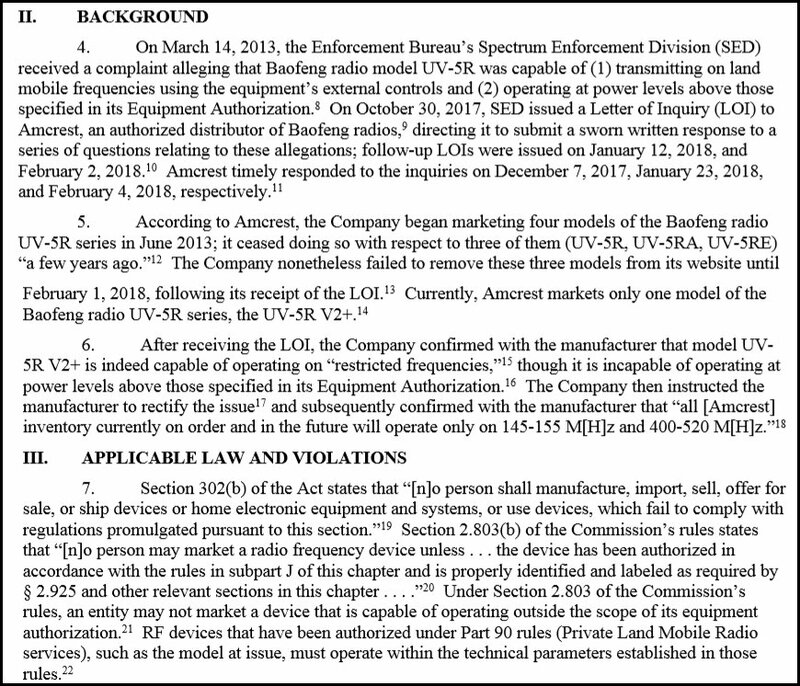 It is unclear as to how this will affect other suppliers at this time as the ruling appears to be as much about the way the radios are marketed as the actual operation of the radios themselves. Might be a good time to stock up on these little radios if you haven't got some already!